We formed Inductosense in October 2015 with some angel investment and funding from InnovateUK. At that stage we had one employee, our CTO Dr. Chenghuan Zhong, who moved from his post-doc position at the University to the company. We started building the team and have now become a team of 12 with a both technical and commercial experience. 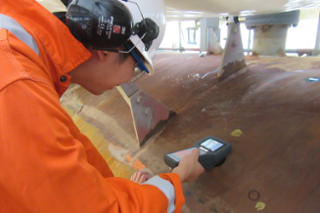 We have developed and patented innovative ultrasonic sensing technology for non-destructive testing of structures. The Wireless and Non-Destructive System (known as WAND) can be used across a range of industries such as Oil & Gas, Nuclear, Wind and Aerospace to reduce inspection time, downtime and associated costs. We are a hardware technology company and we needed to develop our product and run trials with customers. We received revenue from trials, but in conservative industries such as Nuclear and Oil & Gas the trial period can last a long time before reaching full commercial deployment and meaningful sales. We secured £1.35million of investment last year which is critical in getting us through this trial period. Inductosense was formed as a spin-out from the Ultrasonics and Non-Destructive Testing Group at the University of Bristol. As a result, we were fortunate to be based within Bristol SETsquared Centre from the start, allowing us to make full use of the support on offer. We have taken part in business review panels where external teams challenged us on our business plan and investment showcases to build contacts with the investors. 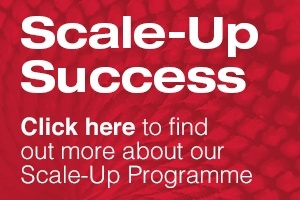 We are now also taking part in the pilot of SETsquared’s Scale-Up programme, which along with the SETsquared Bristol Entrepreneurs In Residence, Grev and Rick, has been incredibly helpful as we navigate the growth phase. If I had to offer advice to other growing tech companies it would be to focus on the people and ensure you have a well-rounded team with the relevant skills and experience for the markets you are targeting. Once the right team is in place it’s far easier to drive the business onwards, and in the right direction.